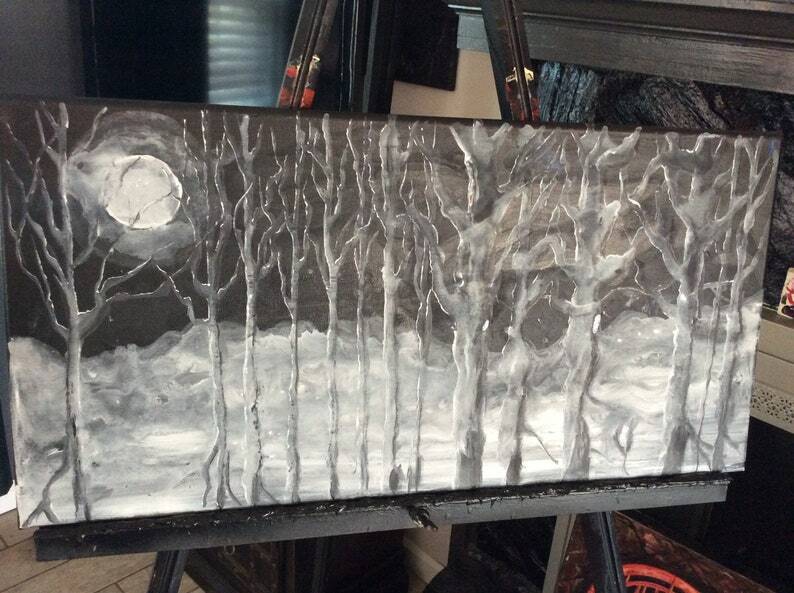 Cacophony of Night is an original canvas painting. It's another in my large collection of hand-painted canvasses. This painting is 12" x 24" on a heavyweight (1" thick) stretched canvas. I created it in layers - pouring on two drips and then working in deep blacks and flecks of white. This painting is ethereal. It's an eerie presence in any well-lit space. I'm happy to provide more photos by request. Each photo is color-true.